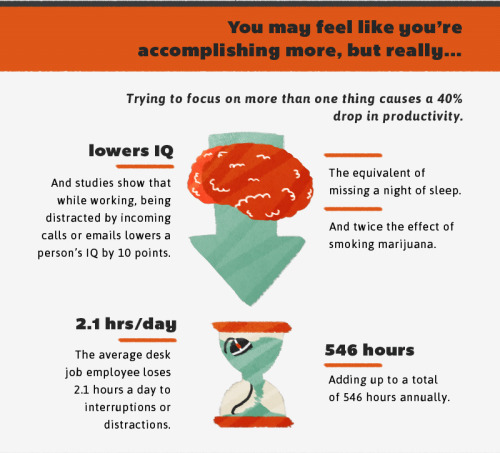 From maintaining a course-load with multiple subjects to completing various projects and papers all at one, every college student knows that there’s never just one thing to do at a time. 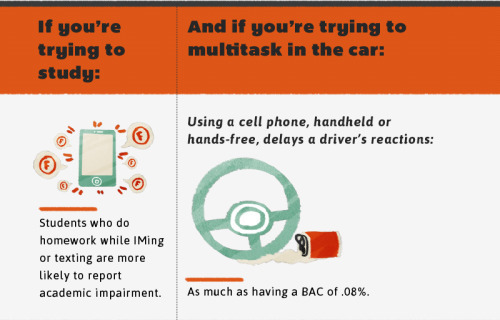 If you’re the type of student who works on multiple assignments while simultaneously eating dinner and watching television, you’re not alone. 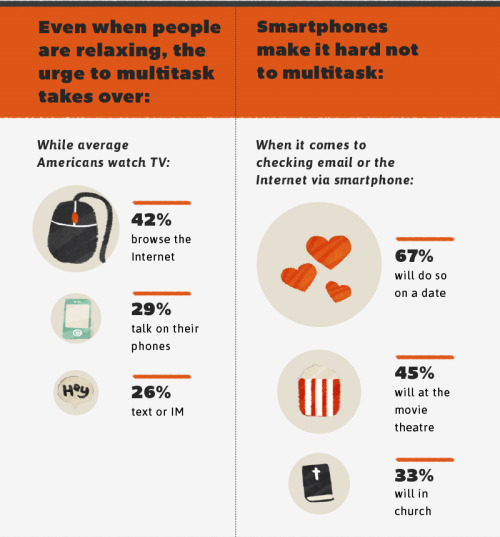 Everybody multitasks, but what most people don’t realize is that, in fact, multitasking doesn’t work. 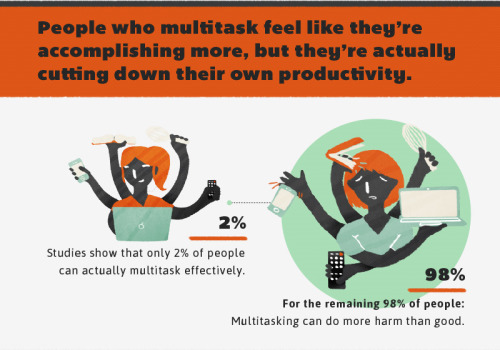 Studies show that only about 2% of people are capable of effectively multitasking, but that doesn’t stop the remaining 98% of people from trying. 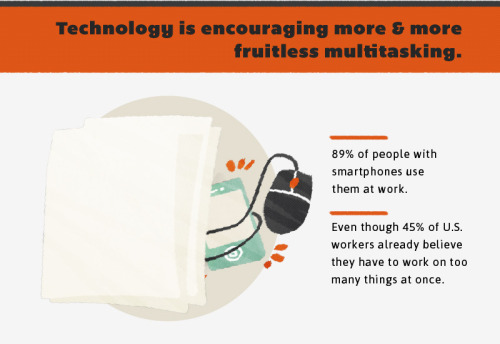 And with today’s technology, everyone multitasks more than ever—from using smartphones in class to tablets while watching television, there are always multiple things to be doing at one time. 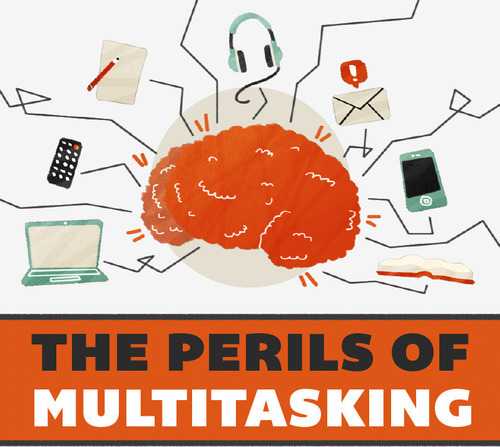 While multitasking may make you feel like you’re accomplishing more things in less time, in actuality trying to multitask does more harm than good: It reduces productivity, and even lowers your IQ. 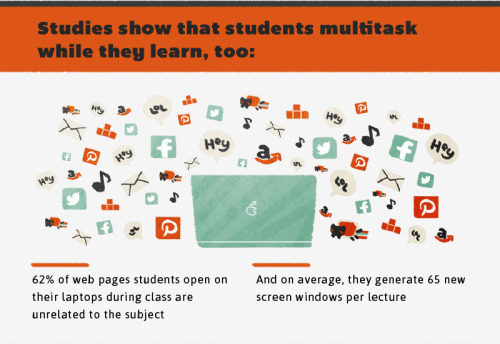 Things like texting while studying or watching TV while working on a paper can have a huge effect on your academic success, so next time you’re tempted to multitask while doing schoolwork, remember that if you really want to get something done right, multitasking is probably not your best route.